New Delhi (India), April 8 (ANI): Congress pitched former cricketer-turned-politician Kirti Azad from the Dhanbad Parliamentary constituency in the Lok Sabha elections. The party also announced the name of Kalicharan Munda as its candidate for the Khunti Lok Sabha seat. 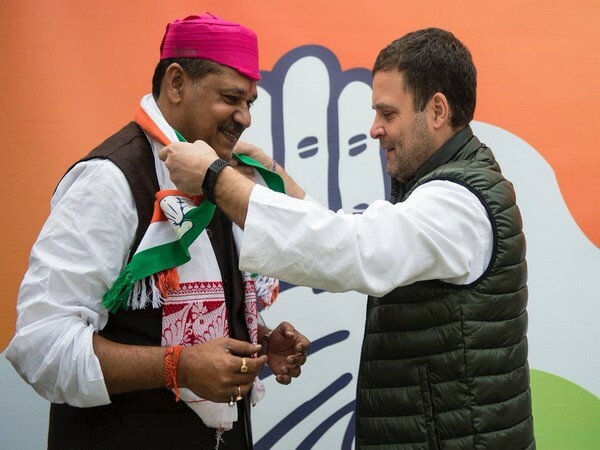 Lok Sabha member Kirti Azad, who was suspended from BJP, joined Congress in February in the presence of Congress President Rahul Gandhi. A cricketer-turned-politician, Azad was elected to Lok Sabha thrice from Darbanga in Bihar. He had fought the 2014 general elections on a BJP ticket. Jharkhand will vote during the 4th, 5th, 6th and 7th phase of polling to be held on April 29, May 6, May 12 and May 19 respectively.